We will begin accepting online signups beginning December 2, 2018 until March 9, 2019. However, based on our experience last year, we expect to meet our allowable number of players well before the closing date. As a result, you are encouraged to register via our online registration system as soon as possible. After we have reached our registration limits, you may still sign-up to be on our waitlist. Although we cannot guarantee that every waitlisted player will be able to find a spot, we will do our utmost to accommodate registrants on a first come, first serve basis. Practices will be held on either mondays or Thursday of each week (depending on Age Division) with games on Sundays. All Games will be held at Oakton High School's practice Field. Practices are held at either Oakton High School on Thursdays for 5/6 and 7/8 or Nottoway Park on Mondays for 9/10 and 11/12. Games are held on Sunday's at Oakton HS starting at 9am. Younger groups start earlier in the day. If you ever considered coaching football, there’s no better way and no better time to start than right now. 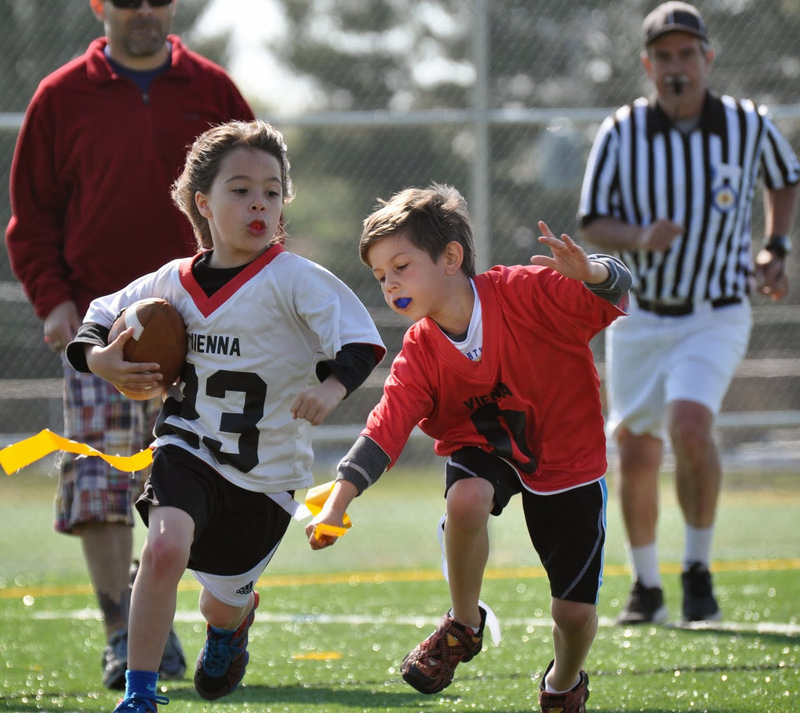 Coaching for VYI Flag Football offers you the opportunity to learn the fundamentals of developing and encouraging young players in a fun, supportive environment. Our experienced coaches are always available to assist, and we will be hosting a New Coach’s Clinic to give you all the information you need to build and lead a successful team. Without a doubt, one the most important positions on the team. Just as a football team needs a quarterback who can orchestrate the plays on the field, each of our teams needs a quarterback off the field who can help coordinate snacks, facilitate communication between coaches and parents, or whatever else is need to ensure the players have what they need to succeed. We hope that you will consider working with our coaches as a Team Parent this season. On behalf of the entire VYI Football family, I want to say thank you once again for considering us for your son or daughter. We are both excited and grateful for the opportunity to work with your young player.